On Sale! Ship within 24 hours. Relax after a hard day on your feet! Sitting in your room or office and enjoying a deep-kneading massage foot massage like at a spa. 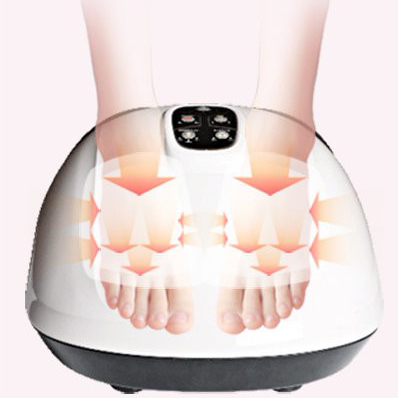 With this powerful portable foot massager from 3Q, you can relieve tired feet as well as a professional does. And the compact design means you can put it anywhere in your home and move the massager from one place to the other easily. Kneading & shiatsu massage from toes to heels to cover all acupuncture points. Air pressure massage function makes more relaxed. Adjusting three level of air massage intensity from strong to weak. Adjusted two auto working mode and manual working mode. Auto turn off feature activities after the massager has been in used for 15 minutes. Detachable and washable cloth cover. Comfortable massage and easily operated. 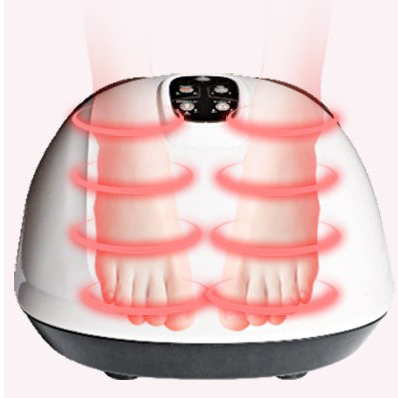 The foot massager is recommended for feet under size 11. 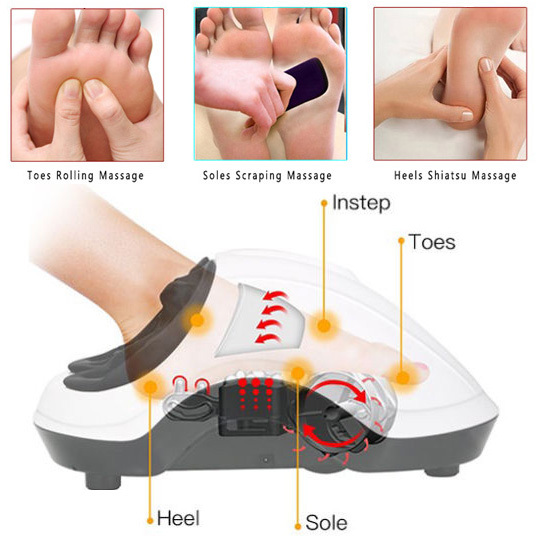 If it is your first time to use the shiatsu foot massager, it maybe feels pain due to you cannot get used of the foot massager, But after you get used to it, it can help you relax; According to traditional Chinese medicine, our feet are sensitive, there are many acupuncture points on them, use the foot massager can stimulate the acupuncture points, keep your whole body healthy; If you feel pain or discomfort the first few times you use the massager, You also can use manual instead of auto mode, or turn off the kneading or air pressure or adjust the air pressure strength to low level. The inside cloth cover of the massager is detachable and can be removed for cleaning in order to keep the device clean and hygenic. This is especially important if the massager is used by multiple people. Note. Your feet may not feel hot as the heating function utilizes an infrared heat lamp to provide a gentle soothing heat. This helps it penetrate deep into muscle and bone tissue in order to relieve pain. Works very well. Only wish is that the rollers hit the heals a bit more. Not sure if individual with smaller feet would have this issue. Click the button below to add the 3Q MG-F18 Foot Massager with Heat, Kneading Shiatsu Air pressure massage to your wish list.